Unibet is one of the older gambling websites on the Internet, having gone online in 1997. 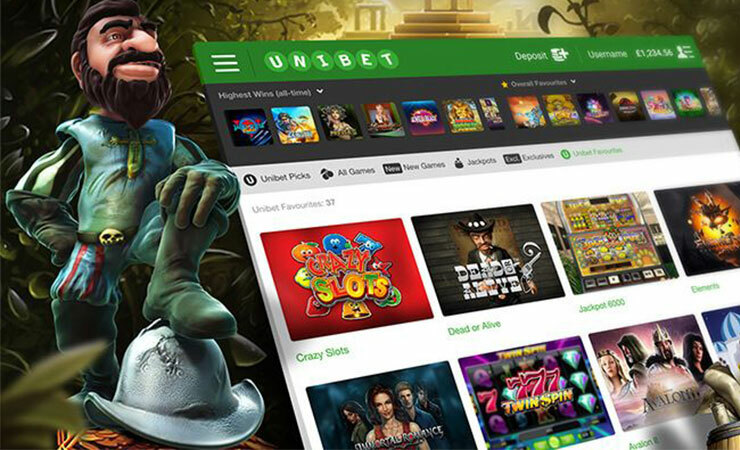 Unibet is a brand of Kindred Group, which owns several other major online casinos like 32Red, Maria Casino, iGame and more. Unibet is licensed by the United Kingdom Gambling Commission and the Government of Gibraltar. The website offers a sportsbook, an online casino, a live casino, a bingo, and a poker room. 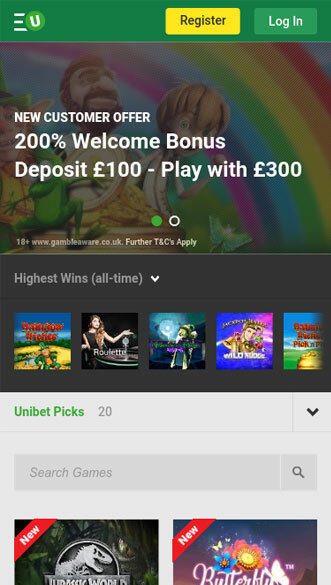 Indicative of the excellent service that Unibet provides are the numerous rewards and accolades that the website has gathered over the years. One of the best features of Unibet is the option to place bets while on the go. This can be done by downloading and installing the operator’s mobile application. There are four apps for each product that the website offers. For this review, we will focus on the casino section of Unibet. The casino app is available for both iOS and Android. The iOS version can be downloaded from iTunes with a single click. The app requires your device to be operating on iOS 9.0 or a later version and can be installed on iPad, iPhone or iPod Touch. Just be careful that you install the casino app and not one of the other 3 available Unibet apps, as those are different products. To get the app on Android might appear somewhat troublesome but as soon as you understand the process it becomes entirely easy. First, you need to download the app from the Unibet website. This is due to the fact that real-money gambling apps are forbidden on Google’s Play Store. After that, open the application file and allow the installation of apps from ‘Unknown Sources’. This sounds shady at first but all it means is that you are allowing the installation of apps from outside the Play Store. This is common practice for apps of this kind due to the already mentioned restrictions. As soon as you do this, you can launch the app and start placing bets. The app has stylish and modern design, featuring the same green-white colour palette as the website. It retains all the functionality of the desktop version. You can make deposits, request withdrawals, contact customer support, claim bonuses, and, of course, play your favourite games. Furthermore, Unibet is constantly implementing updates, fixing glitches, adding new features and improving upon the old ones. Unibet uses many different software providers and thanks to that it has collected a very robust games selection. 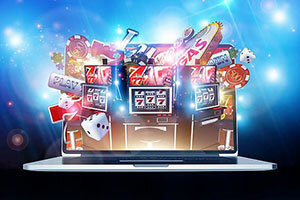 The main providers include some of the biggest names in the industry such as Microgaming, NetEnt, Nyx Interactive, Quickspin, and Play’n GO, among others. Overall, the games library is quite extensive and will fully satisfy any and all who play there. 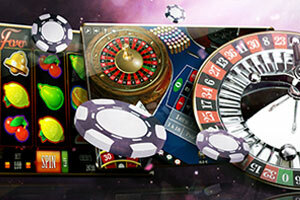 At Unibet, you will find a good amount of slots, table games, video poker, progressive jackpots, and a Live Casino. 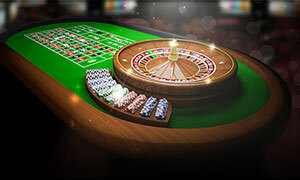 Roulette represents the best of what casinos can offer – a fun and engaging experience where you get to choose whether to play at high or low risk by betting on different things. You can bet on a colour, specific numbers, rows or columns, odds or evens, or whatever combination you prefer. This level of choice is unmatched by any other casino game. At Unibet’s casino, you can play several versions of this all-time classic on your mobile device like European Roulette, Roulette Touch, European Roulette Gold, Double Ball Roulette, and more. 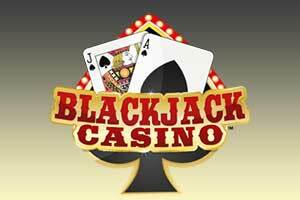 If you are looking for a game that combines skill and chance look no further than blackjack. This card game has been a cornerstone of casinos for as long as anyone can remember. Lovers of blackjack will find Unibet’s selection to be nothing short of excellent with games such as Blackjack Multihand, Single Deck Blackjack Multihand, Blackjack Perfect Pairs, Classic Blackjack Gold, Blackjack 21+3, and many more. 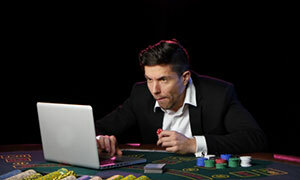 Slots make up the backbone of most casinos, both online and land-based. 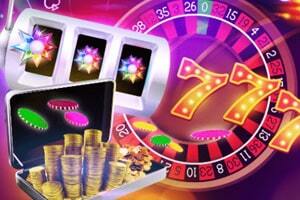 They are some of the most popular casino games in existence due to their entertaining and mesmerising nature. 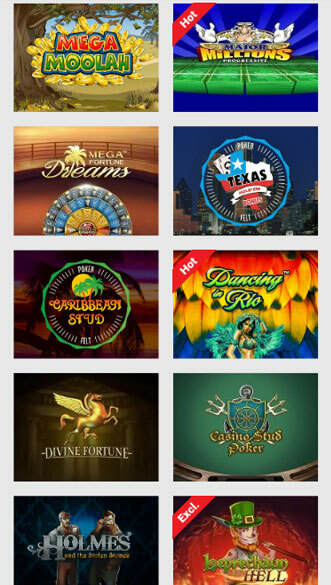 The slot games at Unibet come in many different themes and aesthetics, ranging from mythology to music to fruits. Here you can play some of the most beloved games on the Internet like Starburst, Book of Dead, Viking Runecraft, Guns N’ Roses, Gemix, and much more. If you are in the mood of scoring a huge win then consider playing one of Unibet’s progressive jackpots. This game genre incorporates the gameplay and visual aspects of slots while also giving you the chance to win a very large prize. With every bet, the jackpot rises and it is quite common to find some passing the £1,000,000 milestone. Unibet has a decent number of progressive jackpots that you can play like Mega Fortune Dreams, Mega Moolah, Major Millions, and more. Video Poker is, much like blackjack, based on skill and chance. Combining the randomness of slots and the card aspect of poker makes for a very solid game with the opportunity for a large payout for those who know how to play their cards right. 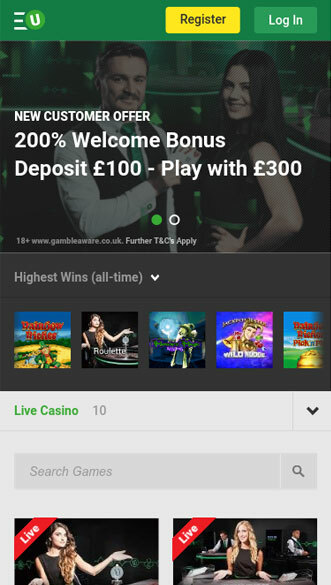 If you feel like playing a quick session of video poker on your mobile device you can try out Unibet’s great selection. 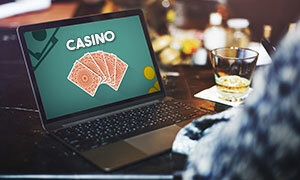 A Live Casino nowadays is an absolute must for any online casino worth its salt. As one of the best, Unibet has naturally taken care of this. Here you can play live games hosted by professional croupiers – Live Blackjack, Live Poker, Live Roulette, Live Poker, Live Baccarat and more. 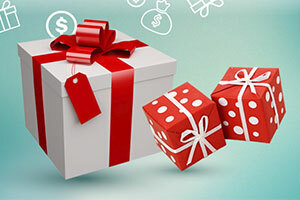 Unibet has several promotions that you should definitely take advantage of. The first of which is the Welcome offer that includes a 200% match up to £200 on your first deposit. 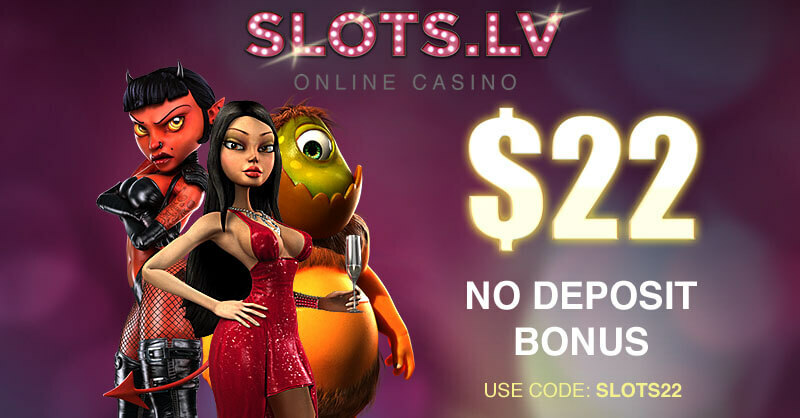 In addition to this, you will also receive up to 190 Free Spins on selected games, depending on how much you deposit. Combined with the 10 Free Spins that you receive after opening an account, you have the chance to play with 200 Free Spins in total. The bonus money has a wagering requirement of 35 times, meaning that you have to wager the bonus 35 times its value before you can withdraw it. However, keep in mind that not all games contribute equally to the wagering requirement. Slot games contribute 100%, Bingo – 200%, while Table Games, Video Poker and the Live Casino count only 10% towards the requirement. When making bets the casino will automatically use your real money before the bonus. 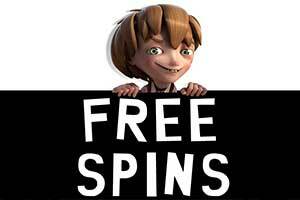 Winnings from the Free Spins are subject to a 25 times wagering requirement. Any bonus money, either from the deposit or the Free Spins, will expire after 30 days if you do not complete the wagering requirement. 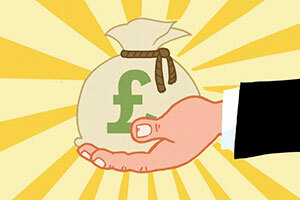 Playing certain slots on Tuesday will qualify you to win a share of a £700 prize pool. 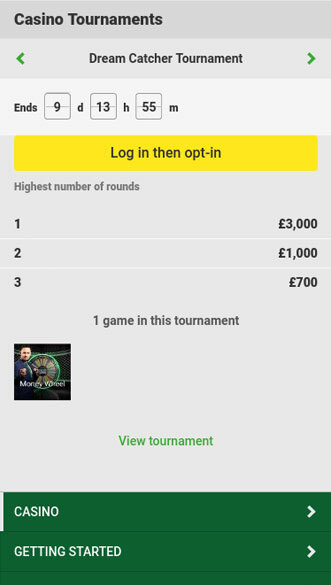 To participate you have to wager £10, or £5 if you are a mobile user, on the listed slots. Players who bet £10 on selected slots on Sunday will receive 10 Free Spins. This offer only extends to mobile users, regardless if they are using the app or the mobile website. 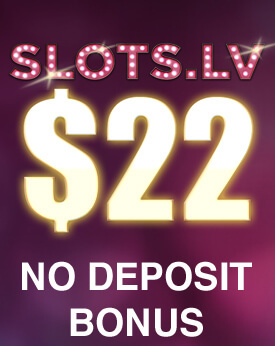 The winnings from the Free Spins have a wagering requirement of 25 times and can only be wagered on selected games that the casino has listed. Unibet’s Gold Cash Card Promotion is really interesting and requires no effort on the player’s part. 200 Gold Cards will be placed randomly in blackjack decks at the Live Casino. When the croupier deals you a Golden Card you win either £10, £20 or £50 in real money, depending on the value of the card.